A new BBC poll shines light on one of the most pressing and contentious issues of our time. What drives tension and conflict between Islam and the West? Is there an inherent incompatibility between the two, making a "clash of civilisations" inevitable? There are certainly Muslims and non-Muslims who hold that view. Poll results: Common ground or conflict? 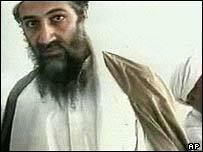 Osama Bin Laden and his global jihadists see the "crusader" West as inherently aggressive, waging a remorseless campaign to subjugate and humiliate Muslims. Samuel Huntington, the Harvard professor who fathered the "clash of civilisations" thesis more than a decade ago, argues that cultural clashes - in particular between Islam and the West - have taken the place of the old ideological divide between communist East and capitalist West. High-profile figures - such as the former Dutch MP, the Somali-born Ayaan Hirsi Ali - claim Islam is incompatible with democracy, women's rights and modernity. Many Muslims, as well as specialists on Islam, reject the sweeping generalisations on which such opinions rest. 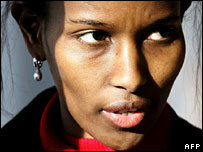 Last year, Ayaan Hirsi Ali's views were directly challenged by a prestigious think-tank in The Hague. 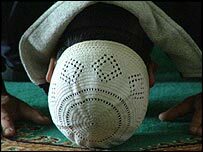 In a report submitted to the Dutch government, the Scientific Council for Government Policy said it was wrong to say Islam was at odds with democracy and human rights. Analysing trends in a dozen Muslim countries, the report highlighted the diversity of Muslim thought. While there were radical, jihadi trends, there were also mainstream movements moving, albeit gradually, towards democratisation. So what do ordinary people, Muslim and non-Muslim, think? A new BBC poll taken by Globescan suggests there is a significant middle ground which rejects the view that Islam and the West are doomed to clash. The pollsters questioned some 28,000 people in 27 countries. An overall majority believes there is no inherent incompatibility between Islam and the West, and so no inevitable collision. Problems arise from intolerant minorities - on both sides - rather than from cultures as a whole. Muslims will welcome the finding that tensions are the result of conflicts over political power and interests, rather than differences of religion or culture. They often argue that Muslim radicalism is the product of global inequalities of wealth and power - and Western foreign policy in Iraq, Afghanistan, Israel/Palestine and elsewhere. The large Muslim minorities now living in the West also argue they are the victims of social disadvantage and "Islamophobic" prejudice. Polls, however, need careful reading. The BBC poll suggests significant numbers of people do not share the broadly optimistic view of the majority. It is worth noting that most victims of Islamic intolerance and terrorism are Muslims themselves. Nigerians are pessimistic about cultural and religious difference. Kenyans and Poles are ambivalent. A slight majority of Indonesians think violent conflict between Islam and the West is inevitable. While 49% of Americans believe there are political reasons for tensions between Islam and the West, 38% believe they result from differences of religion and culture. So the picture is mixed, and perhaps this is not surprising. The current global climate is one of polarisation. Many Muslims are angry about Iraq and Palestine and what they perceive as a Western drive for hegemony. Since 9/11, the West has been nervous about the al-Qaeda threat. The Madrid and London bombings kept that threat alive. The sense of polarisation has been sharpened by recent controversies - over Danish cartoons of the Prophet Mohammed, over the Pope's remarks about Islam, over whether face-veils hinder integration. All these things have set relations between Islam and the West on edge. Many Muslims, and some non-Muslims, blame the media for fanning the flames. In a wired-up world, local disputes can quickly become global ones. Most people, when asked, are likely to favour co-existence and tolerance. But at moments of crisis, they do not always practise them.